I’m thinking they are just finding ME. 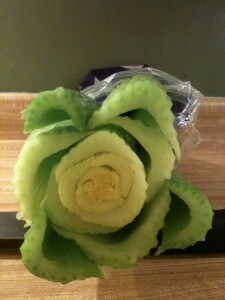 I chopped off the base of my celery stalk and saw this cute face. I love nature! It is so random sometimes. Ruth: They are finding you, because you are open to happiness. Happy people see happy things. Optimistic people have good luck. Fun people have fun lives!